Wherever you are or a loved one are on life’s journey, we invite you to stop in to discuss your needs with our professional consultants. 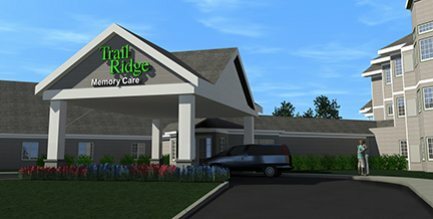 “Trail Ridge Senior Living Community is the industry leader in Sioux Falls, and we are proud to show off the new Trail Ridge and the many features and amenities that will enhance the lives of residents” stated Al Svennes, Trail Ridge administrator. For almost 20 years, Trail Ridge, a not-for-profit organization, has provided seniors of Sioux Falls and the surrounding communities with quality care and services. We invite you to visit Trail Ridge and sincerely hope you choose to become a part of our community.